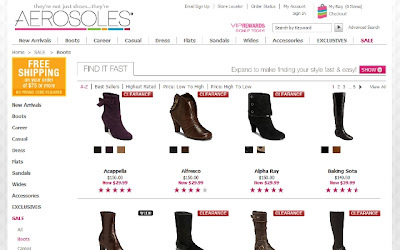 One of my favorite footwear brands Aerosoles is having a huge boot clearance sale online! When I checked the sale today, there were boots priced as low as $19.99 a pair. Currently more than half of the boots seem to be selling for $29.99. 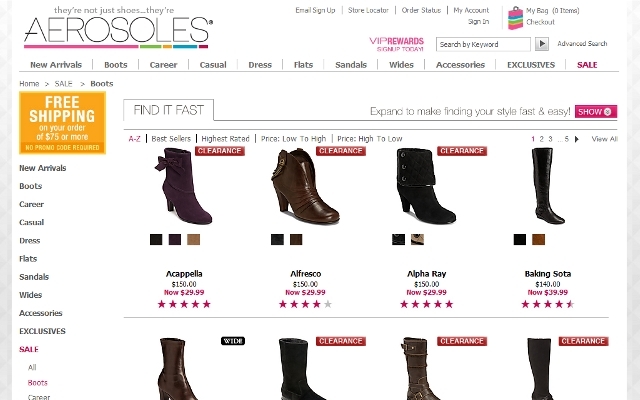 To sweeten the deal, Aerosoles.com has an ongoing Free Shipping promo for orders of $75 or more. I cannot fit one more pair of boots in my closet, so I will need to live vicariously through you. If you end up shopping this sale, let me know what you bought!